There is a theory that the so-called “sin stocks” outperform the market—sin stocks being companies that operate in arguably unethical sectors like alcohol, tobacco and/or weapons. Altria Group (NYSE: MO) is the largest domestic tobacco company with 2011 revenue of $16.6 billion, the dominant Marlboro brand (~42% market share) and the two leading premium moist smokeless tobacco brands, Copenhagen and Skoal. The Company’s total shareholder return from the beginning of 2008 through the end of 2011 was 63.2%, outperforming the S&P 500’s total return of negative 6.3% and the S&P Food Beverage & Tobacco Index return of 40.1%. We like the renewed focus on new product innovation, underappreciated alcohol assets, benign domestic litigation environment, and 5.5% dividend yield. While MO is somewhat late to the game in turning its focus toward non-traditional tobacco products, it is certainly a positive sign that the Company is looking to growth opportunities on the horizon. MO recently unveiled an expanded snus line-up that includes products under the Marlboro, Copenhagen, Skoal and Red Seal brand. Competitor Lorillard (NYSE: LO) currently dominates the menthol category through its Newport brand, so making inroads will not be a cakewalk for MO. Jean-Marie Eveillard, who runs First Eagle, added to his position last quarter. Additionally, MO entered into a joint venture with Okono, an affiliate of nicotine gum manufacturer, Fertin Pharma, to “develop innovative, non-combustible nicotine-containing products.” MO has also indicated that there may be opportunities to leverage its relationship with Philip Morris International (NYSE: PM), which it spun out in 2008, to develop new products via jointly-owned intellectual property (see what hedge funds hold Philip Morris). MO has also announced a new Marlboro architecture that organizes the brand’s products into four categories: Marlboro Red, Marlboro Gold, Marlboro Green, and Marlboro Black. We expect that this reorganization initiative will improve brand equity and pricing power. Note that in May, MO top management will bring in Martin Barrington to replace current Chairman and CEO, Mike Szymanczyk, who is retiring. Barrington has been with the Company for 19 years with 1 year in his current role as vice chairman for innovation, public affairs, human resources, and compliance. We expect Barrington to continue to execute on MO’s announced strategies. Income from MO’s alcohol assets have contributed to earnings diversity in the last few years, notably through its 27.1% stake in SABMiller (as of September 30, 2011). MO’s stake in SABMiller, which has increased in value from $4 billion in 2007 to $16 billion now, allows it to participate in the estimated $29 billion global beer market where SABMiller holds an estimated 22% share. Altria’s earnings from its equity investment in SABMiller have grown at a compounded annual rate of 9.4% from 2007 to 2011. And Ste. Michelle Wine Estates has grown its adjusted operating company’s income at a compounded annual growth rate of 14.1% since MO’s acquisition in 2009. The income growth from wine and beer has been growing at a faster rate than tobacco income, which has helped drive earnings growth. In spite of concerns over the long-term viability of the US tobacco industry, it still offers opportunity for earnings growth given a “sticky” consumer that supports manufacturer pricing power. The number of adults that are cigarette smokers has remained stable: 45.3 million smokers in 2010 down from 46.5 million in 2000. Though cigarette volumes are down 1.1% from 2010, “revenues net of excise duties were up 0.4%,” meaning that MO is still able to generate more profit through increasing its prices. And smokeless tobacco products, of which MO has a 40% market share, have been doing well. They are subject to a lower excise duty and they can be consumed at places that otherwise prohibit smoking. The smokeless tobacco segment is estimated to be growing at 7% annually. 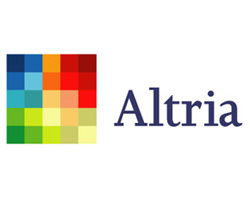 The bottom line is that the numbers speak for themselves: Altria has now outperformed the S&P 500’s total return each year for 12 consecutive years. Management is committed to delivering average annual adjusted diluted EPS growth of 7% to 9% over time, with a dividend that grows in line with EPS. Over the 2007-2010 period, MO posted adjusted EPS growth of 8.2% annually, and increased its dividend per share by 41% from 2008-2011. Its dividend payout ratio is 80%, in line with Reynolds American (NYSE: RAI), but above peers LO (70-75% payout) and PM (65% payout). At $30 per share, MO is trading at approximately 13.7x 2012E consensus EPS, a discount to RAI at 13.9x and LO at 14.8x. We like management’s focus on innovation, the undervalued wine and beer assets, the Company’s ability to navigate the litigation arena, and the commitment to shareholder value creation through EPS and dividend growth. We recommend buying on dips.